Guys I have been getting a lot of questions on how to use proxies properly when your botting. That’s why I decided to make a little guide on it. First of all you need to buy a private proxy. But, why do I need a private proxy? Well if you are going to use public proxies, there is very high chance that other gold farmers are also using those proxies (same IP-addresses). The chance of getting banned using those public proxies is very high. Private proxies on the other hand are password protected. So you will be the only one using that proxy (IP-address). Now that it’s clear that you should use private proxies there is another important thing you should know about proxies. If you are planning to use proxies for botting you need socks5 proxies. You should be aware that using many accounts on one proxy isn’t a smart idea. The whole idea about using proxies is that your farm can run on different IP-addresses. So if 1 account is banned the others won’t be linked to the account and get banned as well. There are numerous of companies that provide private socks5 proxies. I personally use Virmach ( > Runescape VPS Plans > Buy RS Botting Plan), because I like their prices, customer support and the fact that they offer ‘Runescape Proxys’ which have a free IP-address change each month. Next to your monthly free IP-address change you can also change your IP-address for a 2$ fee. So everytime your bots get banned and your IP-address gets flagged you don’t have to buy new proxies again. You can just change their IP-addresses for a lower price. If you order annually you can save up to 40% at Virmach. When you buy a proxy you can pick a proxy type. Make sure that you pick the Standalone Private Socks5 Proxy Server NOT the Standalone Private HTTP Proxy Server. Next to the proxy type you can also select a location. At Virmach ( > Runescape VPS Plans > Buy RS Botting Plan) you can pick many locations). I suggest that you pick the one that is closest to you. Make sure that you remember the hostname and Root Password that you want to use (you will also get an email with this information). Once you mad e the payment you will recieve an email with all the needed information. You should have the following information to start using your proxy: IP-address, Port (usually 1080), Username and Root Password. If you start your botting client, you usually have the option ‘configure proxies’. If you hit configure proxies, you can fill in all the information you recieved in the emaill you got from VIrmach (IP-address, Port (usually 1080), Username and Root Password). 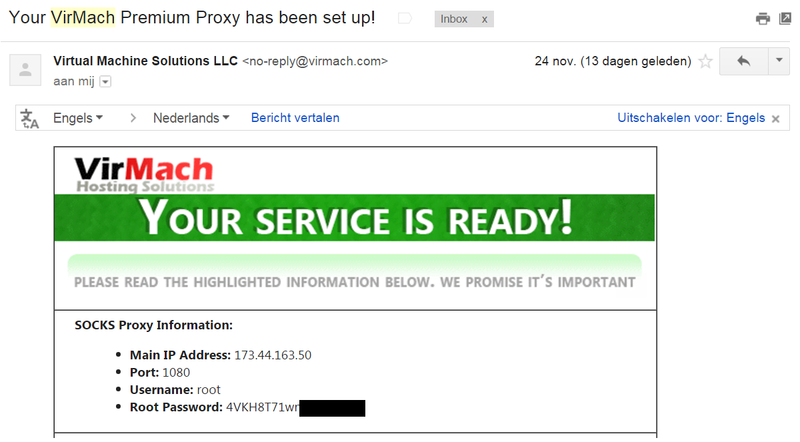 Once you did that you can finally use the proxy and start on a fresh IP-adress! Just pick it from the list where it only said ‘No proxy’ at first. Many people forget that they also need to use a proxy when making new accounts. If you don’t Jagex will still be able to link the accounts and ban your entire farm. So it’s very important that you know about this. 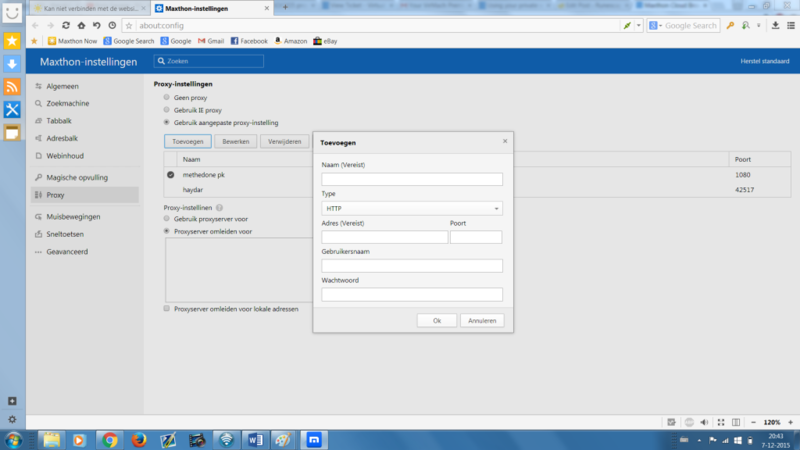 I suggest that you download the browser Maxthon as its very easy to implement the proxies using this browser. After you installed the browser type in bout:config in the URL bar. Search for whats my IP in Google and check if its working right! Using proxies isn’t diffcult at all, but such a great way to keep your farm a lot saver from getting banned. Guys I hope you fully understand how to use proxies properly now when you’re botting in Runescape! Comment if you still have issues! This entry was posted in Proxies and tagged bots, botting, gold farming, private proxy, proxy, runescape, socks5 proxy, virmach by admin. Bookmark the permalink. Do i need to create my accounts on the samke private socks 5 proxy as im botting on? Prefarably yes. Dont make all the new accounts on 1 IP (proxy) and then bot on different IPs (proxies) ur farm will Still be banned. and tthe visitfors aare gewnuinely sharing fastidious thoughts. I have to thank you forr the efforts you have put in penning this website. I really hope to vieww thee same high-grade content from you in the fyture as well. use some relaxing background music!